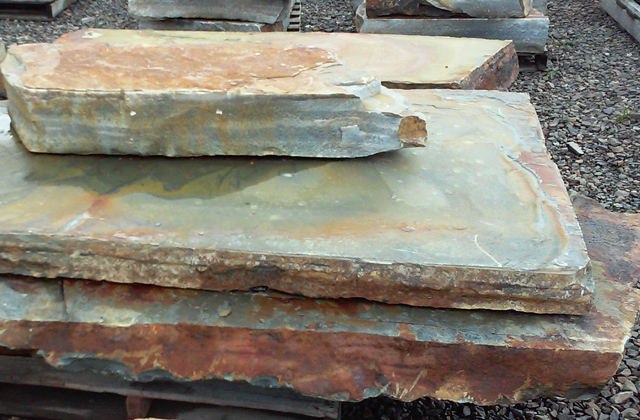 Montana Slate steps come from multiple quarry areas in the state of Montana. 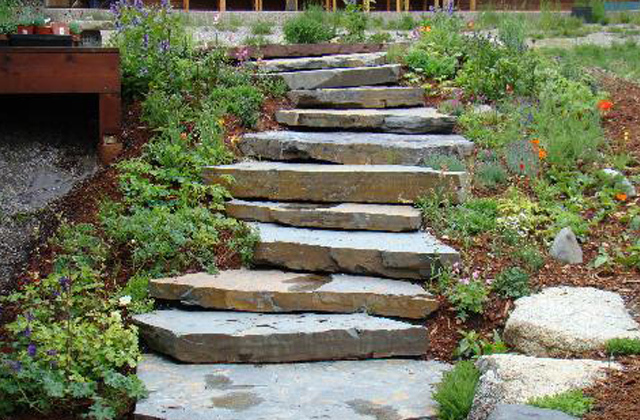 This stone step is slate and fairly flat which makes it perfect for a step and riser application. Will typically be reds, rust and grey tones with natural split and fractured edges. Stone is sold by the ton and can measure any dimension while trying to keep it near a step sizing in a varied thickness for steps or risers.